Friendly staff. Quiet place. Restaurant nearby, Appewoods had excellent service and great food. March Break activities for kids were great! Lots of fun! Where to find Aylesford hotels near an airport? Where can I find hotels in Aylesford that are near tourist attractions? Expedia's comprehensive Canada accommodation booking platform features 2 hotels within a 0.1-kilometre (0.06-mile) radius of Aylesford. 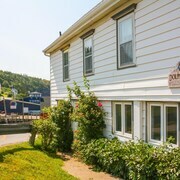 The nearest Expedia-listed hotel is the Best Western Aurora Inn, Nova Scotia, which is 9 kilometres (6 miles) from the heart of Aylesford. 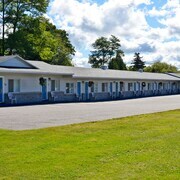 As an alternative, you could try the Middleton Motel & Suites, located in Nova Scotia, which is 20 kilometres (14 miles) away. 25 kilometres (17 miles) away from Aylesford you will find Kentville, where you'll find Kentville Bird Sanctuary and Island Green Golf Club. 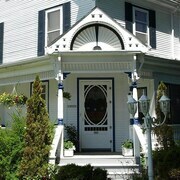 Kentville hotels include the Slumber Inn and The Greensboro Inn Motel. 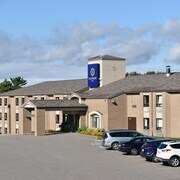 55 kilometres (34 miles) to the east of Aylesford, you may also choose to stay at Windsor, which is home to the Super 8 Windsor and Downeast Motel. 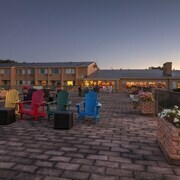 If you stay in Windsor, be sure to visit the Mermaid Theatre of Nova Scotia and Ski Martock. Get your sporting fix with a trip to Kinsmen Field, which is 75 kilometres (47 miles) to the south of Aylesford. Stay nearby to the action at the Best Western Plus Bridgewater Hotel & Convention Centre or the Comfort Inn Bridgewater. Searchfor Expedia's up-to-date Aylesford travel listings and learn about the fascinating things to do, see and eat that this part of the world offers. What are the most popular Aylesford hotels? Are there hotels in other cities near Aylesford? 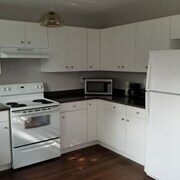 What other types of accommodations are available in Aylesford? Explore Aylesford with Expedia.ca’s Travel Guides to find the best flights, cars, holiday packages and more!